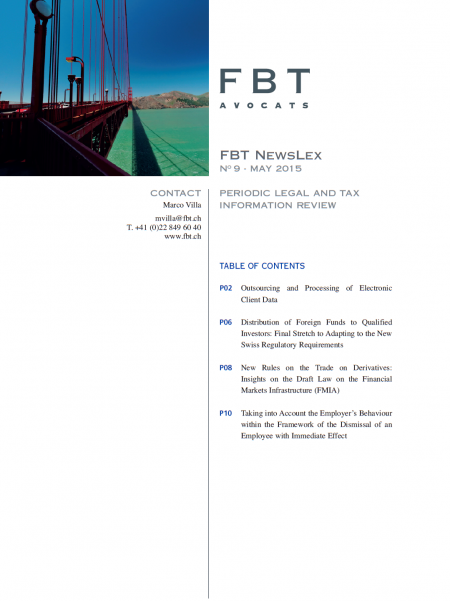 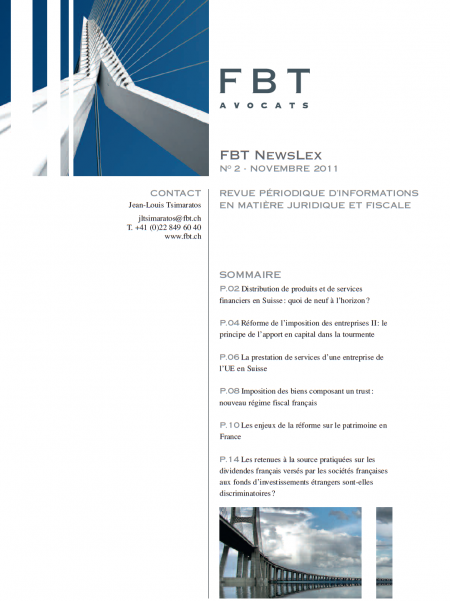 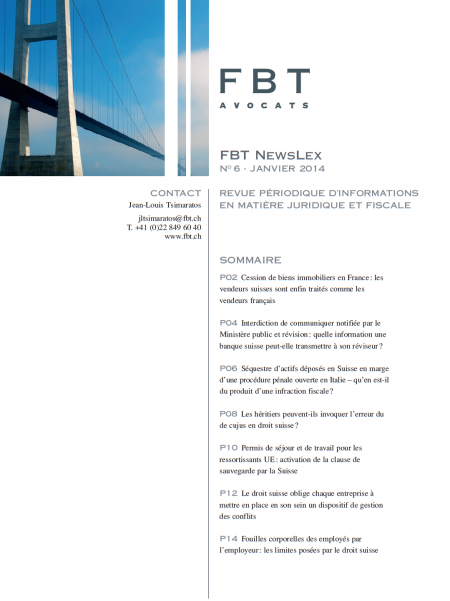 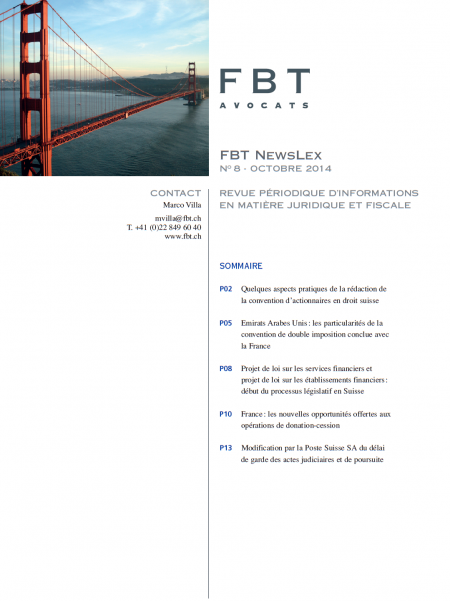 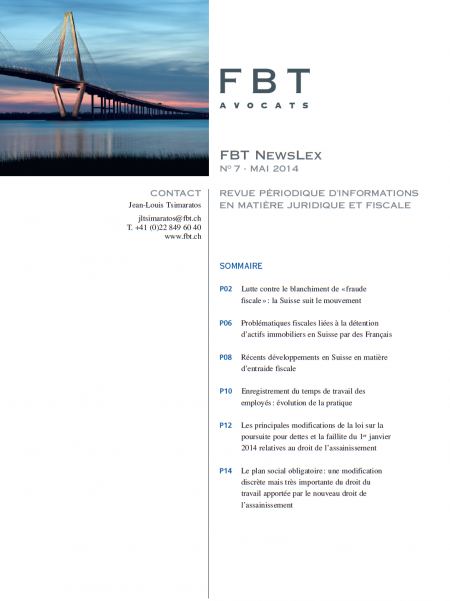 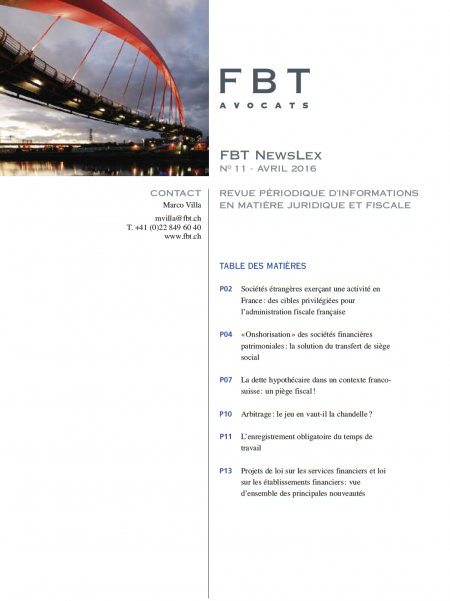 FBT NewsLex is our periodical in areas of law, taxation and banking. 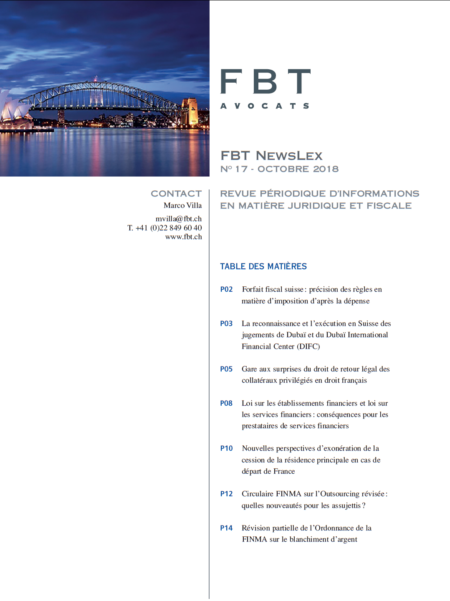 Ledgenda is a legal and tax newsletter ot the Ledgis Network. 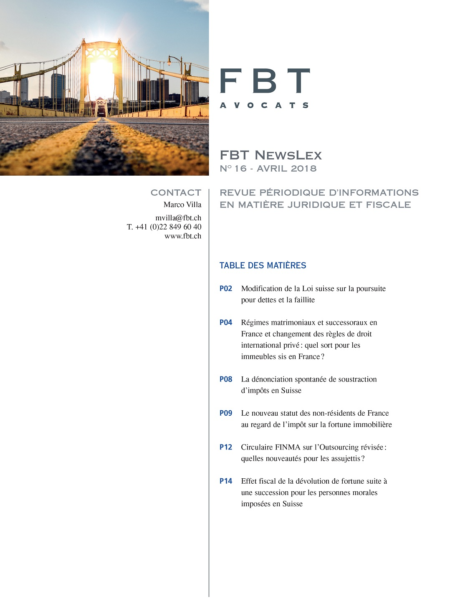 Matrimonial and inheritance regimes in France and changes in the private international law rules: what about properties located in France? 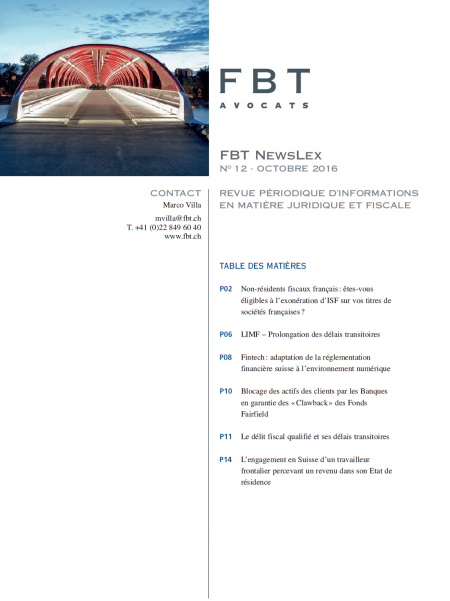 Revised FINMA Circular on Outsourcing: what new elements for financial institutions ? 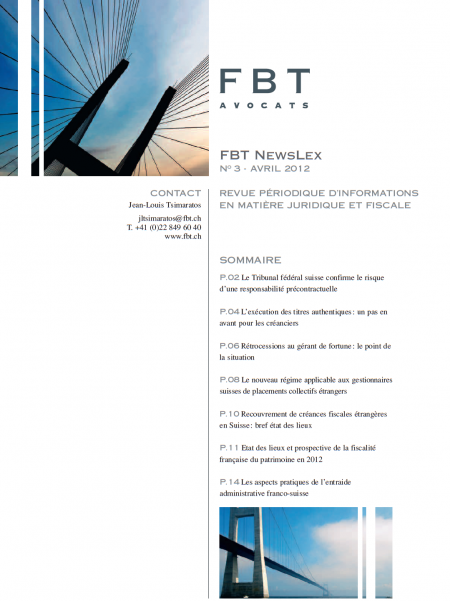 Are non-French Tax Residents Eligible to the Exemption of Wealth Tax on Securities of French companies ? 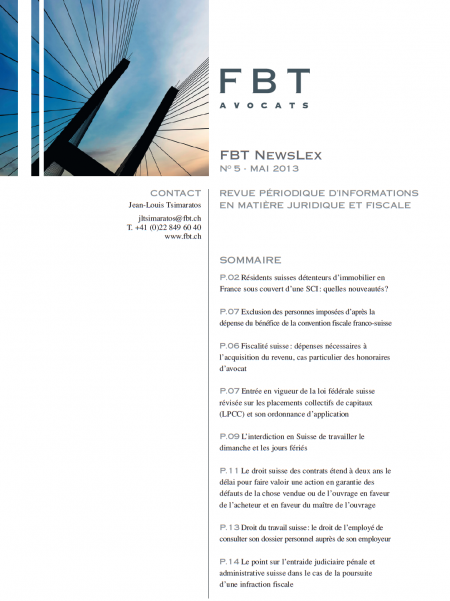 Mortgage indebtedness in a French-Swiss context : a tax trap ! 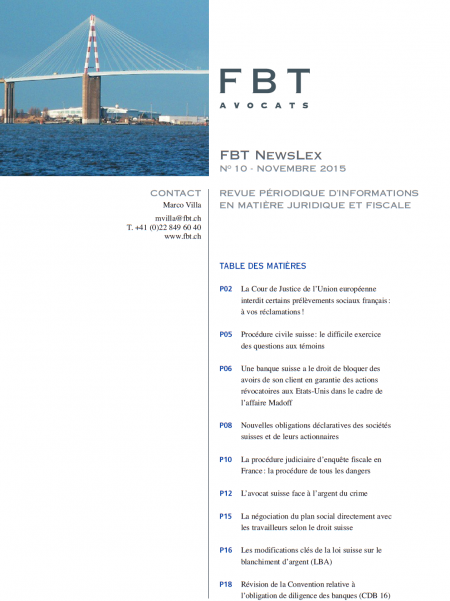 Arbitration : is the game worth the Candle ? 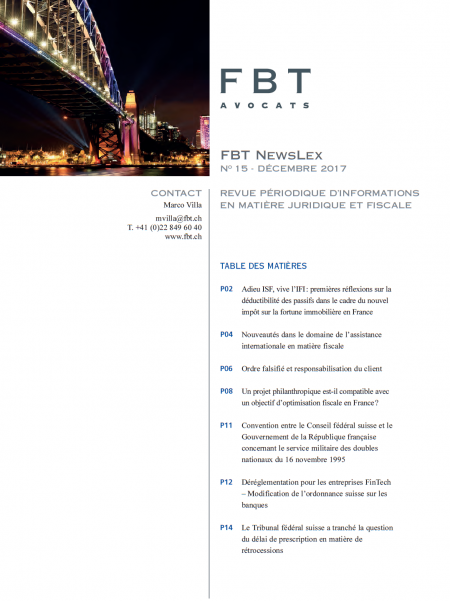 Certain french social contributions prohibited by the court of justice of the European Union: claim them back! 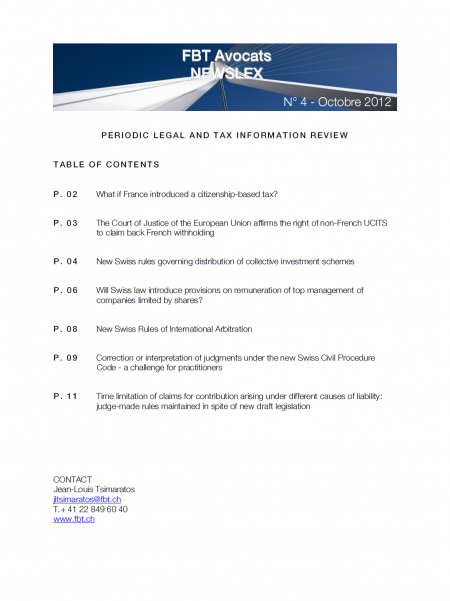 What if France introduced a citizenship-based tax? 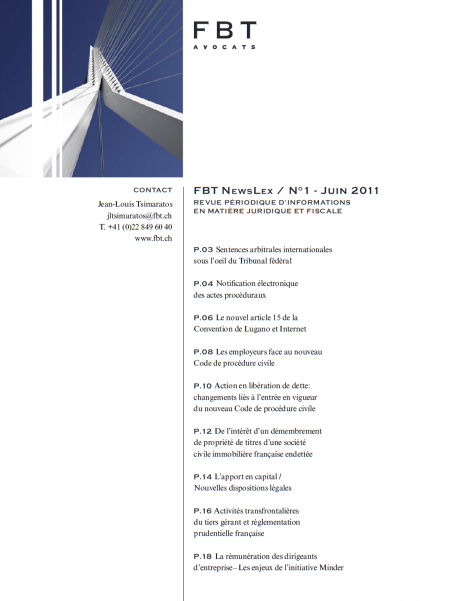 Will Swiss law introduce provisions on remuneration of top management of companies limited by shares? 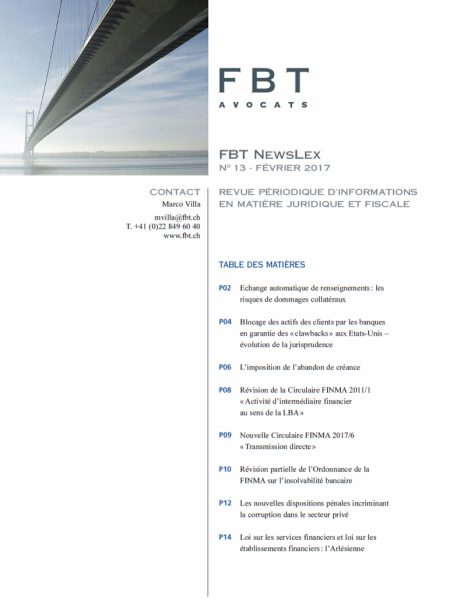 Distribution de produits et de services financiers en Suisse : quoi de neuf à l’horizon? 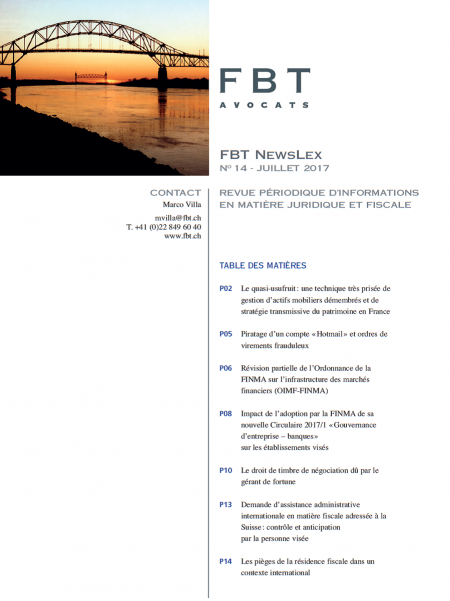 Les retenues à la source pratiquées sur les dividendes français versés par les sociétés françaises aux fonds d’investissements étrangers sont-elles discriminatoires?